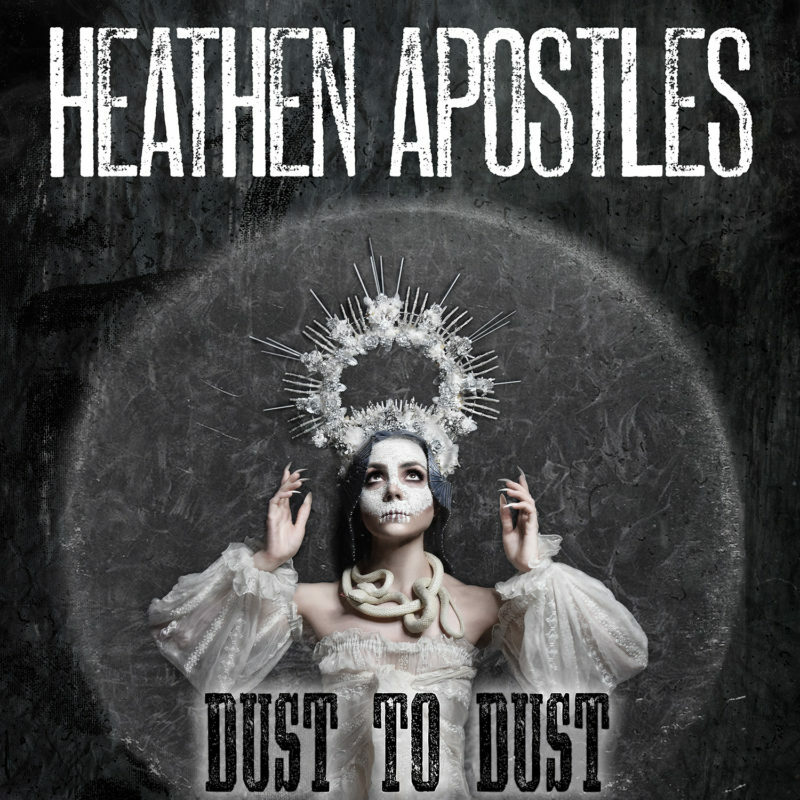 The Heathen Apostles are proud to reveal the cover art for their fifth album Dust To Dust, which will be released online Friday June 7th on Ratchet Blade Records. 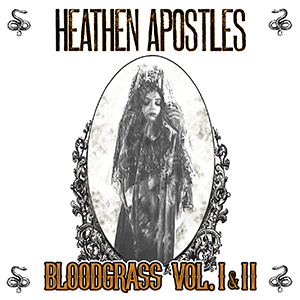 The cover art was conceived and designed by our own Mather Louth, and it it only seems fitting that this Southern Gothic artwork should be unveiled on Good Friday. 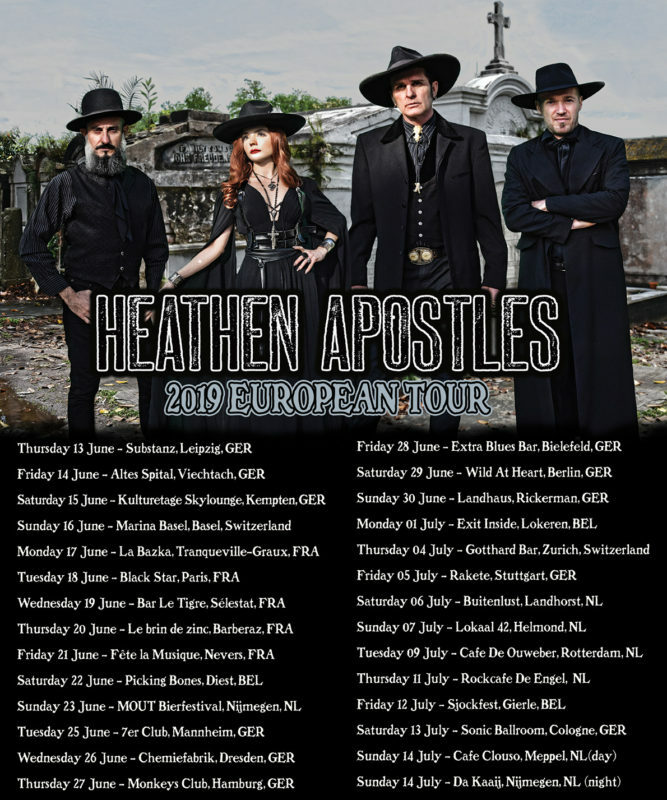 Dust To Dust will be available on the Heathen Apostles’ webstore and all digital outlets, and will also be sold at all 33 shows on their upcoming European tour (which runs from June 13th through July 14th) and in brick and mortar stores in July. 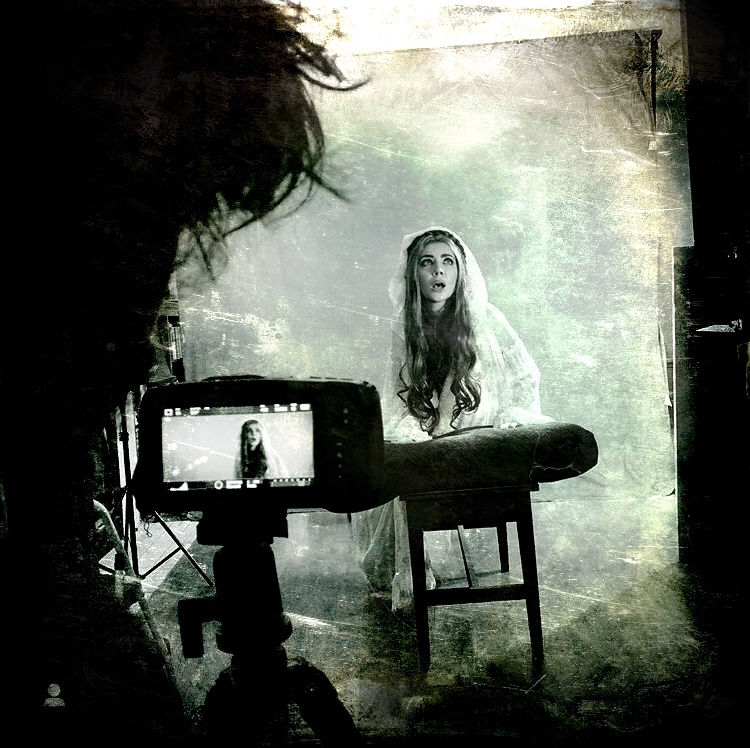 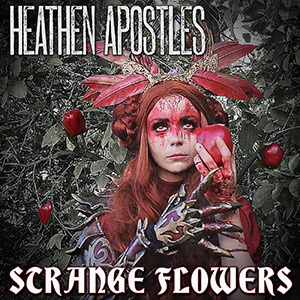 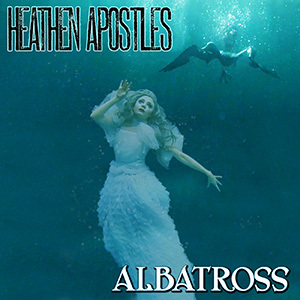 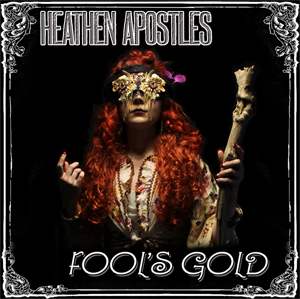 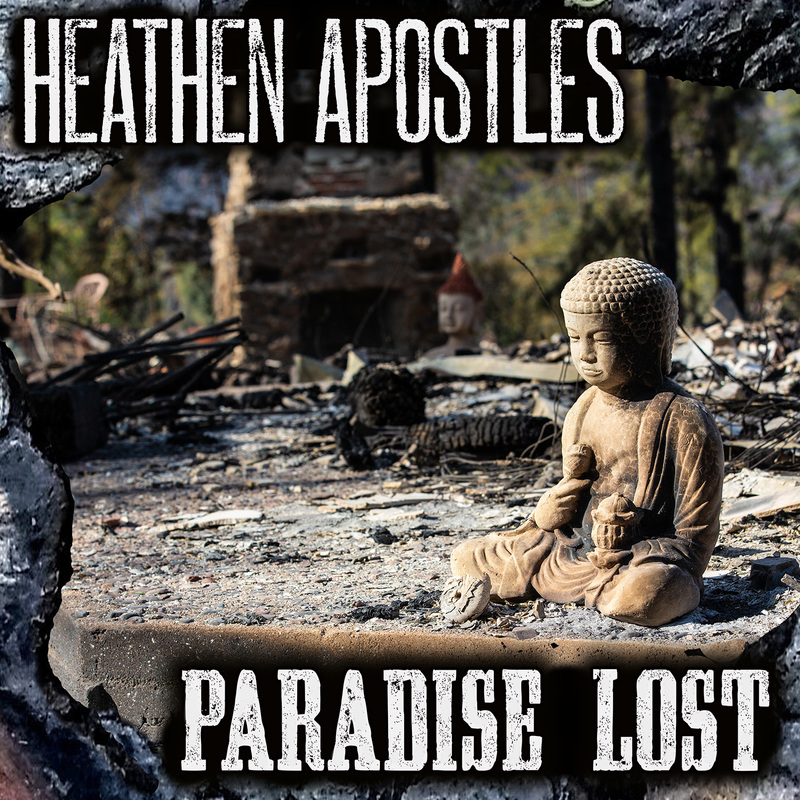 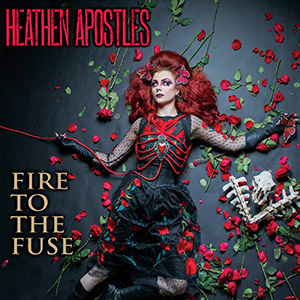 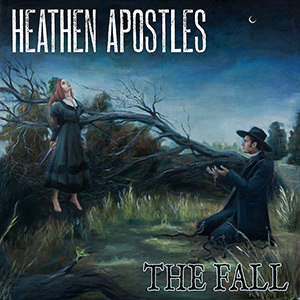 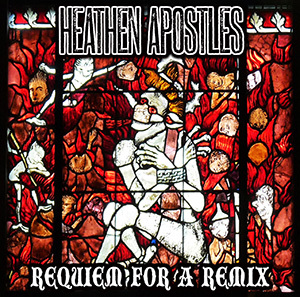 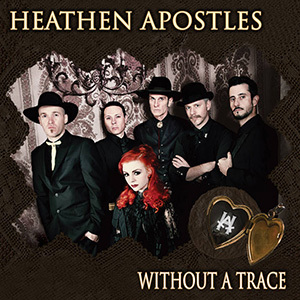 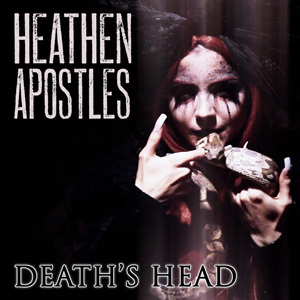 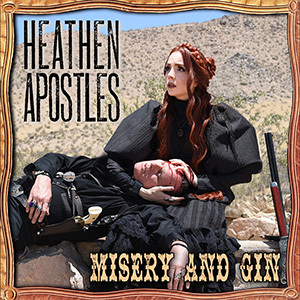 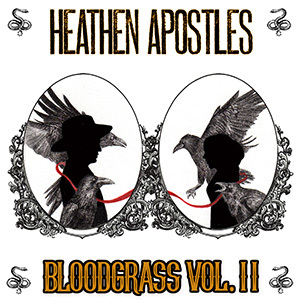 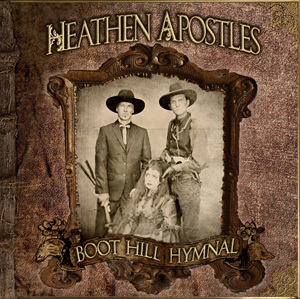 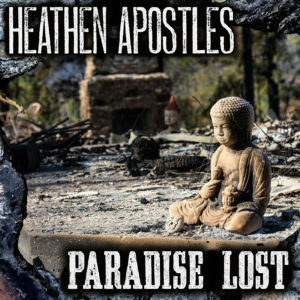 Check back with us here at the Heathen Apostles website for more release info and updates on the new music videos the band is working on. 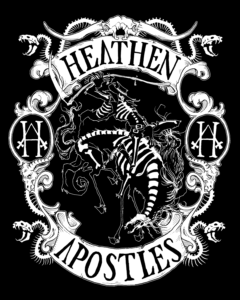 In 2013 the Heathen Apostles collaborated with Victoria Vengeance and Gris Grimly on the music video for their song Dark Was The Night, and now they are proud to reveal their new T-shirt, The Deathrider, designed by Gris Grimly himself! 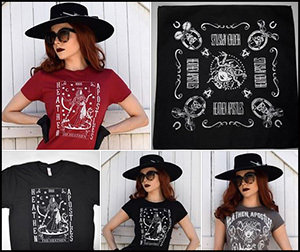 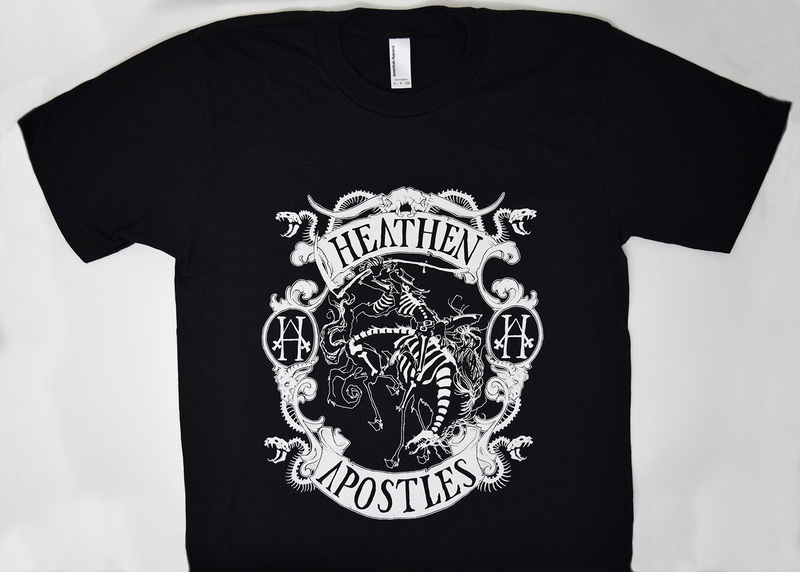 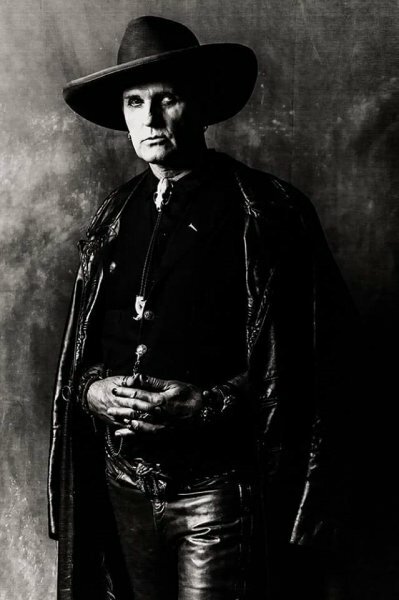 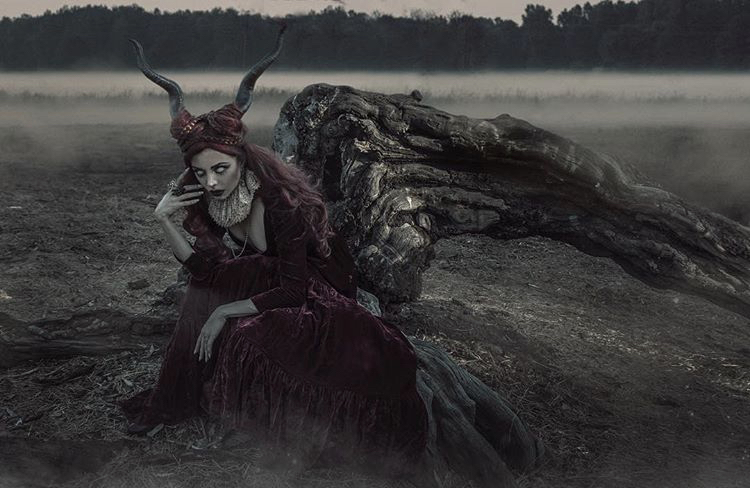 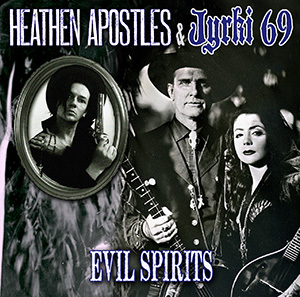 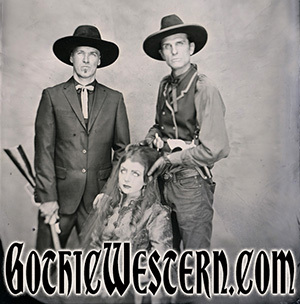 Inspired by the Heathen Apostles song Death Came a-Ridin’, it incorporates many of their favorite things: snakes, the Grim Reaper, bronc riding, steer skulls…. and more snakes! 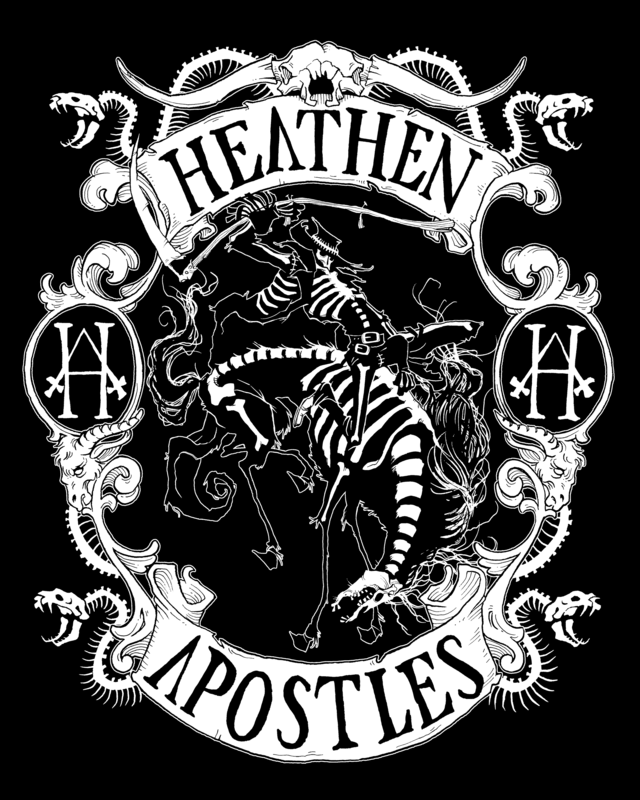 The tickets have gone online for the Heathen Apostles Paris show at Black Star on Tuesday June 18th. 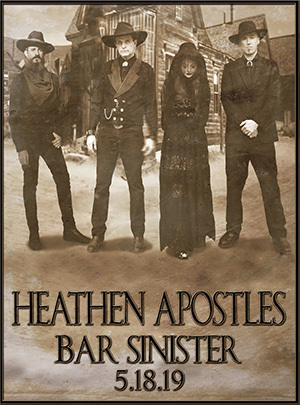 The show is one of a week’s worth of appearances in France for the Heathens, starting at La Bazka in Tranqueville-Graux, France on June 17th and ending in Nevers at the Fete de la musique on June 21st. 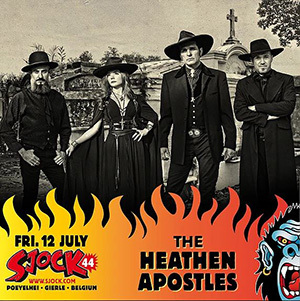 You can get your tickets online by clicking HERE, the band’s European tour starts June 13th and lasts through July 14th, be sure and check back for other presale ticket opportunities often. 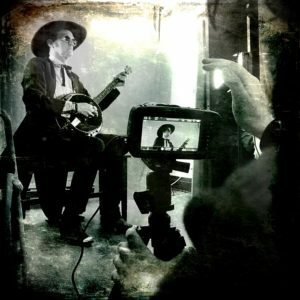 You can read the entire Mather Louth interview on the SD Voyager website HERE.